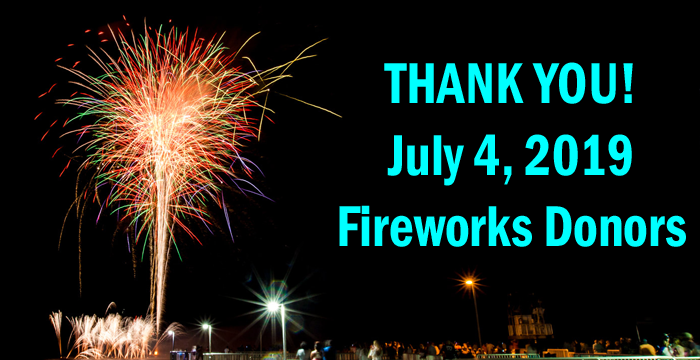 We want to express our gratitude to our loyal community members and businesses who have donated funds to support the Cedar Key Chamber’s Annual Independence Day Celebrations which includes the Best Small City Fireworks Display! Our fireworks on the water couldn’t happen without YOU! Need more information about where/how to donate? Visit our Online Donation Page. Need more information about the 2019 Independence Day and Fireworks Schedule? Visit our 2019 July 4th Celebration Event Page.